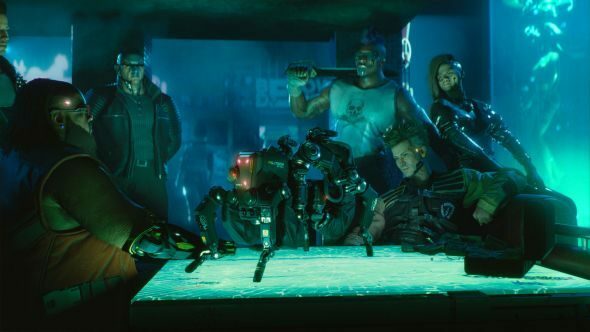 The details on Cyberpunk 2077 gameplay are finally starting to pour out of E3, and the latest bit of the deluge includes what to expect from the game’s character classes. The tabletop game’s classes form the basis for the game’s character system, but there’s loads more flexibility than the initial choice might suggest. You’ll choose from one of three classes at the start, all straight from the tabletop game – namely, Netrunner, Techie, and Solo. These define your strengths and weaknesses at the beginning, but you’re not locked into the choice. Instead, it’s a fluid class system that allows you to customise your abilities as you go, mixing elements from each archetype without restricting your role. There’s not much bigger than Cyberpunk, but don’t miss out on the other upcoming PC games. This info comes from Game Informer’s preview of the private demo CD Projekt showed at E3, but there’s more detail as well. On the GameSpot livestream, associate designer Kyle Rowler mentioned that other character classes from the tabletop game will appear here, but will be used for NPCs and enemies rather than the protagonist. The Rockerboy and Corporate classes are specifically cited among the people you’ll meet. Your in-game abilities will let you accomplish everything from hacking enemies to running on walls, and the choices you make in your custom class are just a small part of that alongside further options like gear and implants. We’ll keep you updated with everything we learn – including the Cyberpunk 2077 release date – as we hear about it.